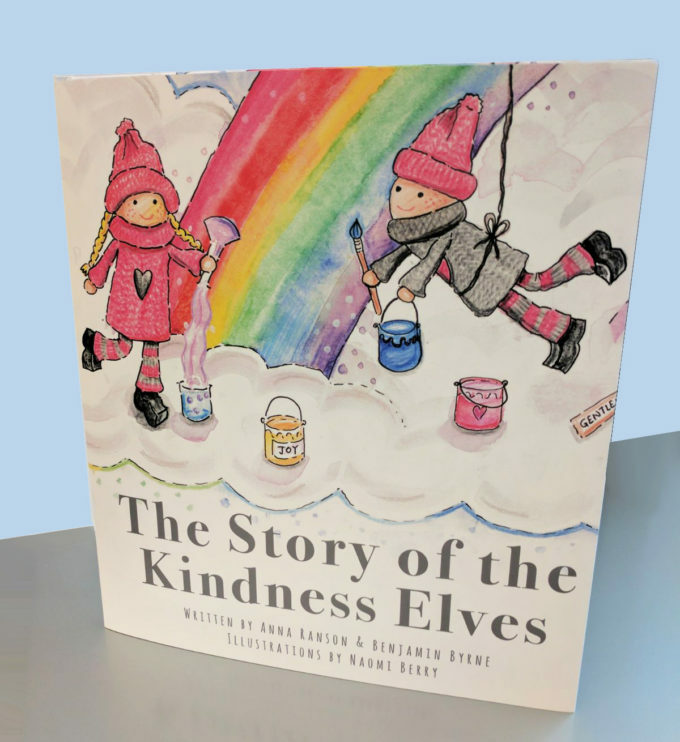 The Story of the Kindness Elves Book is here and ready to pre-order today! 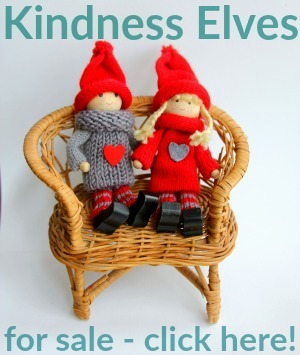 Behind the scenes here at The Imagination Tree we have had an intensely busy year, because, as you probably know by now, we also are behind the gorgeous Kindness Elves tradition and their own website too. 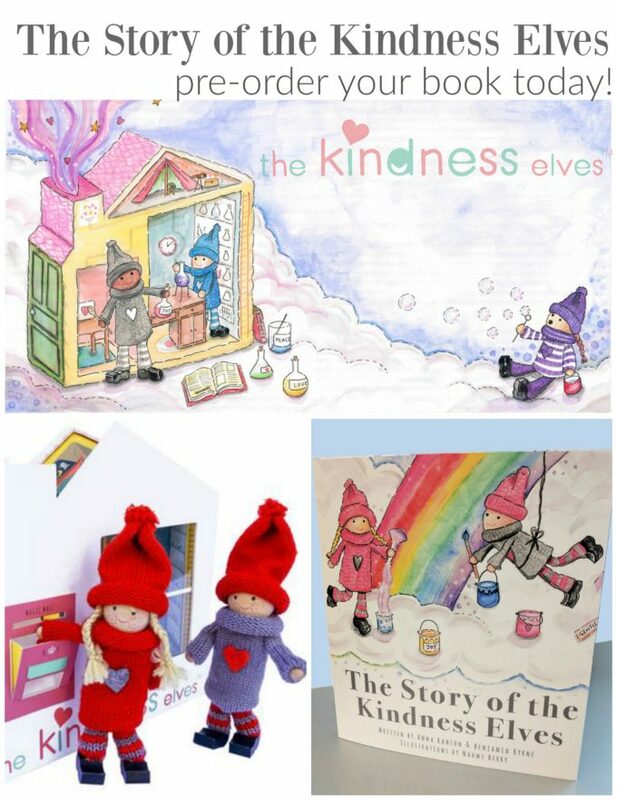 This year we launched our new range of Kindness Elves, an Accessories Kit to go along with them and then our Kind Classroom teaching resources ebook! 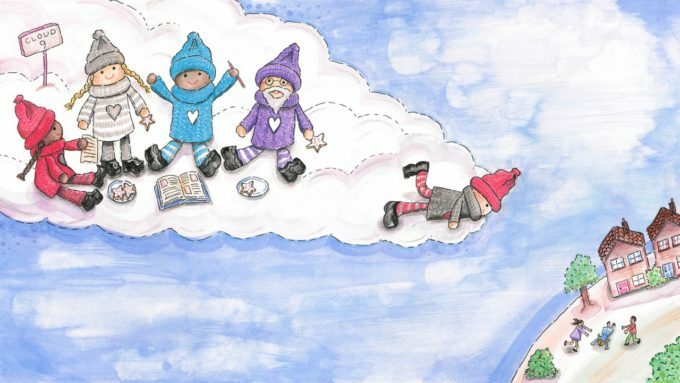 But no, that wasn’t quite enough for us so we have also been writing and illustrating our very own story book to accompany the Kindness Elves! 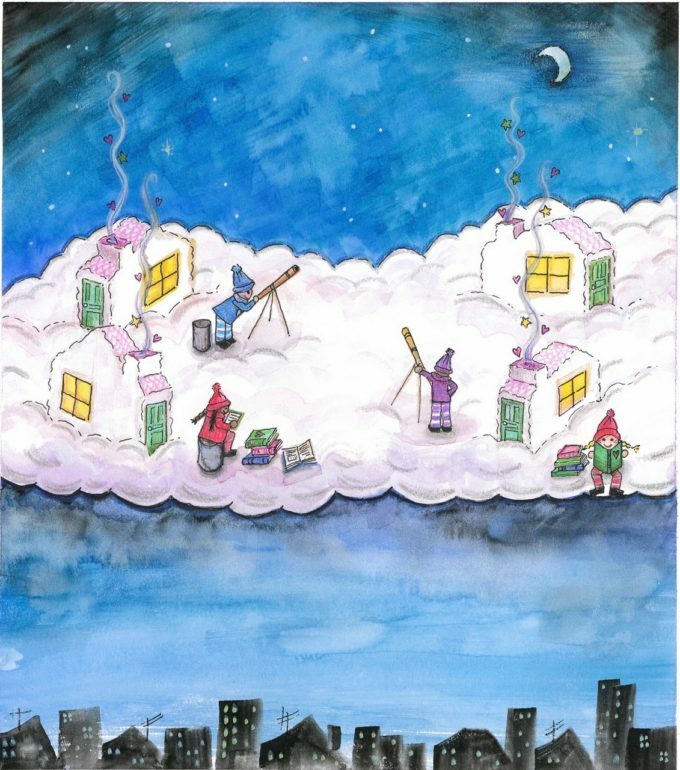 With the help of my very talented artist friend Naomi Berry, we have created such a beautiful book full of hand painted watercolour illustrations. 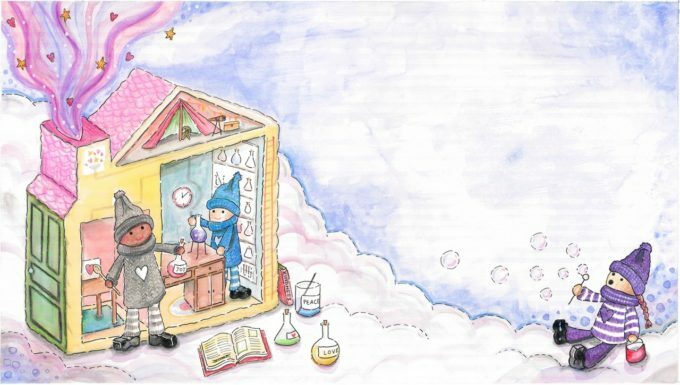 The Kindness Elves completely come to life and are full of character and whimsy in their amazing cloud homes in the sky! 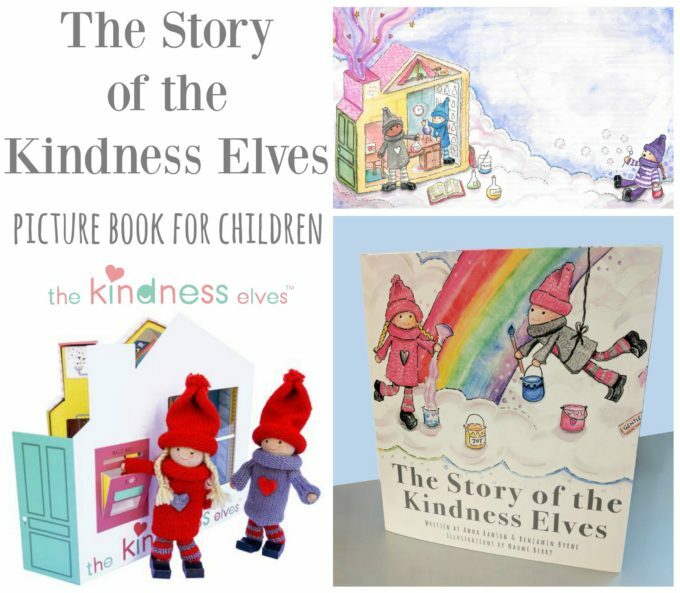 The Story of the Kindness Elves is something we have been working on for over a year now and is a real work of love. 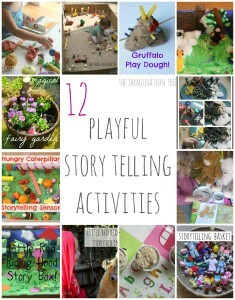 It tells the sweet story of where the Kindness Elves live, who they are and what they do all day. 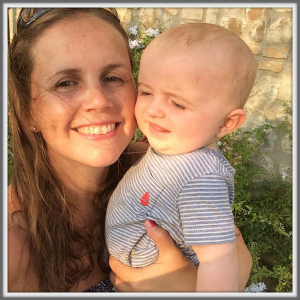 It explains how they first came to meet children and work together on acts of kindness as a team and hopes to inspire young people to think of others in all areas of their life. Because we have been SO ambitious this year (like kids in a candy shop with ideas and excitement!) we haven’t quite managed to get the book produced early enough to guarantee Christmas delivery. However, we have had a lovely thought about this and wondered if the Kindness Elves could send it as a goodbye gift after they leave, with a little letter saying thank you and see you soon! Other than that it could be a gorgeous valentine’s or birthday gift. The story isn’t tied to Christmas in any way so it is non-seasonal and will apply all year around, much as we hope our little Kindness Elves will do too. 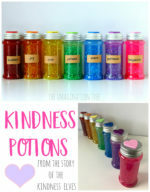 Kindness is not just for Christmas after all! 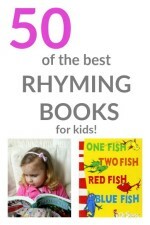 The books will be ready to send from London in mid-December (still awaiting official confirmation of the final date!) and whilst we are confident that they will make it to UK address before Christmas itself, we cannot guarantee that for International deliveries, so please do keep that in mind when ordering! We have a limited stock and expect demand to be very high, so pre-order yours here today! And please help us spread the love by sharing this with others!